Tableau 10.2 includes a host of new features that help organizations empower people and maximize the impact of their data. Let’s take a look at some of the biggest enterprise features. You can now publish, and interact with vizzes that are WCAG 2.0 AA and Section 508 compliant. And common visualization elements now have keyboard support and function with assistive technologies such as screen-reading software. These new capabilities ensure that a customer’s visualizations reach the largest possible audience. Learn how to author compliant vizzes. Check out this blog post to learn how to author compliant vizzes. Web authoring keeps getting better. Enjoy a new top level menu, assign specific colors to data items, drag to remove reference lines, and sort via the toolbar—all from your browser. Break down the barriers between your vizzes and the rest of your business. Server admins can now enable guest access. With guest access enabled on a site, vizzes on these sites can be embedded on a webpage, letting webpage viewers see and interact with the viz without needing user credentials. We’re also making it easier to access your vizzes on the go. Tableau Mobile now includes robust web authentication, making it easier to have a seamless sign in experience, even if a reverse proxy is used. Admins deploying Tableau Mobile through a MDM now have more configuration options for better control of the login and sharing experience. We are continuing to invest in API improvements so you can take a programmatic approach to deploying and managing Tableau at scale. And with our Document API, You can now read/write captions, set ports, and leverage initial SQL and query banding. We’ve also released rich developer documentation on GitHub. The Server Client now supports schedules and groups, and does a better job of handling large downloads. Our code samples empower you to jumpstart your custom portal development. You can also programmatically migrate content between sites and even repoint workbook data connections. And with the Web Data Connector 2.2, you can optimize multi-table joins by passing down filtered information from one table to the next to return a smaller set of data. 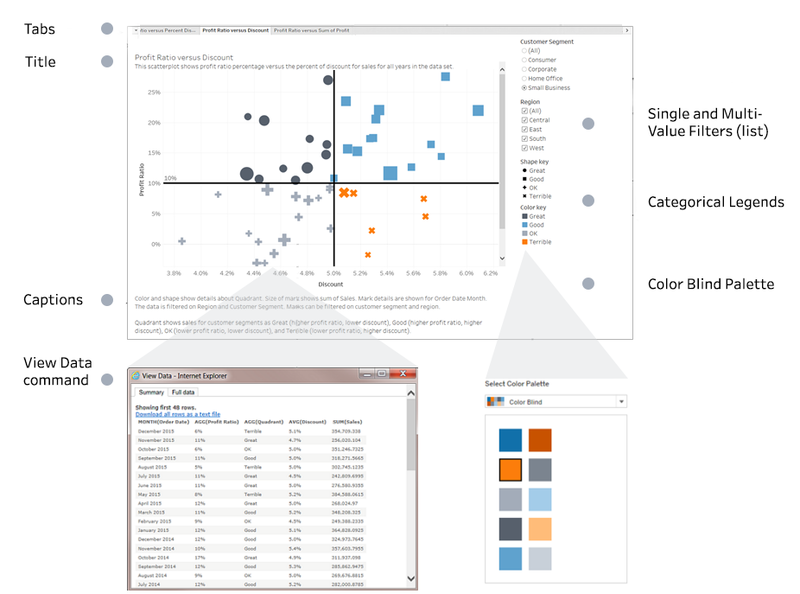 These are just a few of the dozens of new features in Tableau 10.2. Check out the full list. All of our enhancements are designed to help organizations leverage the full value of their two greatest assets, their people and their data. If you have a feature suggestion, we'd love to hear from you. Leave us your thoughts on our Ideas Forum.